Two years ago the Prime Minister Gruevski welcomed His Majesty, the (e)Mir Ghazanfar Ali Khan, the Prince of the Burusho people, from the remote Hunza Valley in the Himalayas in Pakistan. It was not an ordinary bilateral meeting, as the Pakistani delegation claimed to be “coming back home“, and was certainly made to feel like that. According to their collective memory and narrative of origin, they are the descendants of the warriors of Alexander the Great – in particular, the ones who were too tired or simply not willing to march back to Macedonia after reaching the Indian hinterlands. Ghazanfar Ali Khan later on met with plenty of VIPs, including one metropolitan of the Macedonian Orthodox Church, who compared him to Alexander the Great (at least, in terms of his looks). These days, the Burusho tribe has made the news again – namely, the Macedonian government has decided to simply confer three hectares of land for the construction of a royal residency of the Burusho royal family [News, only in Macedonian: . To add to the quirkiness of the situation, the land is located near to the site of Paljurci, which was put on the map by president Ivanov, who revealed that it was the exact location of St. Paul’s mission is spreading Christianity in Macedonia. Therefore, the broader public becomes ecstatic whenever the “Hunza” story gets in the press. The majority of the people are critical of the developments, as it is hardly comprehensible how those unknown distant people have become our ad hoc kin-group solely on the basis of myths and tales of origin, while there are still traces of contention towards the very neighboring ones. Furthermore, the whole narrative has a comical overtone due to the seemingly naive and unsophisticated, yet deadly serious rhetoric of “fraternization” between the Macedonian officials and the Pakistanis. When it comes to the public response, it seems that the overtly sardonic attitude to the topic prevails. It manifests in several ways: referring to the government representatives as “Hunzas” and attributing the term “Hunza” with a negative meaning, denouncing on the cooperation between the two sides as “fraternity between two tribes” and part of the “mountainous” nationalist rhetoric. And, while the whole issue deserves and requires public scrutiny, what I have noticed that at one point, the debate has crossed one thin red line – it has invaded the human dignity of the Burusho representatives. It is more than legitimate for one to criticize the Macedonian government and the introduction of the “remote family” rhetoric; however, that does not waive the right of respecting the distinctiveness of the Burusho people. The mocking on the “Hunzas” has been grdaully becoming a sheerly prejudiced rhetoric and an act of “Othering”; a very good illustration of orientalistic attitude towards the people imagined as exotic semi-barbarians from the far-away mountainous lands, being different than “us” – not just different, but lesser and totally inferior because of their background. Maybe people derive pleasure out of deriding them, believing that that way, they manifest their own superiority. The sad part is that this issue has emerged in a culture that has been an object of orientalism as well. The people of Southeast Europe have been often generalized and portrayed as crude and uncivilized, belonging to hostile peoples bearing complicated names. Alas, we didn’t learn our lesson of our own experience. And who is to blame for this rather negative trend? The domestic and the international media, the politicians, the opinion makers, or maybe the Pakistanis themselves? The author of these lines can not be exculpated as well. I personally have made plenty of fun on the “Hunza” topic (including a sarcastic take on the visit of the Burusho leadership in Macedonia in the form of a song), when the issue had first gained public visibility. And for a while now, I have been feeling guilty and responsible about it – hence I feel an utter need to apologize for my attitude. Here I would lay my own experience and the lesson learned. Orientalistic behavior, among other things, is rooted in the lack of “primary sources” about the object. It is easy to generate stereotypes, to Other and imagine “the Hunzas” with contempt when you haven’t really met any of them personally. Nevertheless, my narrow-minded perception has been rubbed into my face, when I had the opportunity to meet one Burusho exchange student in an international setting. I can not recall all of the details accurately, but he could have easily been a member of the “royal” family, or even a prince; yet, for the matter of fact, he seemed a bit awkward with all of his religious and “patriotic” talks. He was in love with Macedonia, although he could not tell the Republic of Macedonia from the Greek province of Macedonia (he unlikely caught himself in the heart of the name dispute I guess). Yet, while hanging out with him, I could not stop feeling horrible, guilty and responsible for my previous acts of mockery and prejudiced talk (and artistic work!) on the “Hunza” topic. What I was thinking, was that if me and my friends heard the same type of “jokes” we had been making about the Pakistanis said about Albanians, or Roma, or Jews, or Africans, we could have easily started accusing people of hate speech or would have just given them a lesson on tolerance and multiculturalism. Yet, since it was about the “Hunzas”, it was considered cool. What I have realized from this experience, and what I keep on realizing as the Hunza story is making the news again, is that the media (including some international ones) must move beyond the stereotypes on the Burusho Pakistanis. In the whole story, their role is the most subordinated one, as their actions solely depend on the script prepared by their Macedonian partners. Yet, it is a huge mistake to load the meaning of the term “Hunza” with negative features and it is morally wrong to exploit their background of tribespeople from the Himalayas for the sake of “enriching” the anti-nationalist rhetoric. However, as I already mentioned, being respectable towards the Burusho people does not mean that one also should oversee the potential abuse by the government for the sake of very shallow political goals. Currently, the whole idea of aiding the construction of a “royal palace” in the “historic site” of Paljurci, legitimizing the idea of being “distant relatives” remains highly dubious and harmful to the Macedonian political debate. It is an entirely irrational narrative that maintains the mythologized discourse of ancient Macedonian nationhood, which is detrimental to the both internal and external “national questions”. The infamous “antiquization”, the meta process of redefining the Macedonian national self by reverting to the ancient Macedonian narrative of origin, has turned the identitarian policies of the government into a monoethnic, nineteenth century like nation building project and has obviously exacerbated the fragile post-2001 multicultural practice, aggravating certain Albanian political leaders. In terms of the foreign affairs, on the other hand, the political use of the ancient Macedonian rhetoric had significant contribution to exhausting the chances for a successful outcome of the Macedonian-Greek negotiations over the “name dispute”. Finally, one must not neglect the very pragmatic remark that while the VMRO-DPMNE led government is making Macedonian citizens buy off their own yards and lots on which their houses have been built, it enacts a totally arbitrary decision to simply give out land to foreign citizens only because of certain historical claims. On October 3, Bosnians cast their votes to decide on new leadership for the country. The results were somewhat unexpected; especially on the Bosniak side. Radical Bosniak leader Haris Silajdzic lost the Presidential election to turn-moderate SDA candidate Bakir Izetbegovic (son of legendary wartime Bosniak leader Alija Izetbegovic). The fairly moderate turn of the Bosniak electorate resonated in the parliamentary elections, with non-nationalist SDP winning most votes from the Croat-Muslim Federation (closely followed by SDA). The results from the Serb and Croat constituencies remained fairly consistent, although smaller parties could play a greater role in post-elections coalition talks than in previous elections. Irrespective of the nature and form of the new government coalition, the new Bosnian authorities will have to be prepared to lead the country’s transition from an international semi-protectorate to a sovereign state with a reinforced EU presence on the ground. The most urgent matters will focus on an international agenda, including progress on the Euro-Atlantic reform process (which has virtually ground to a halt as a result of local obstruction); and constitutional negotiations aimed at establishing a more efficient institutional framework. This framework would presumably allow major international players such as the US to rest quietly while the EU prepares the country for accession. The tasks ahead are significant, but the results of the elections cast serious doubts about the ability of the new leadership to guide the country through the upcoming challenges. There are two issues that are particularly concerning. The first relates to the persistence of rampant divisions relating to the nature and form of the Bosnian state. While nationalist rhetoric has somewhat abated since the end of the elections, the post-election period has been marked by a plethora of radical statements in relation to Bosnia’s constitutional status. Serb leader Milorad Dodik, for example, has indicated a lack of interest in substantially changing the constitutional framework (which Bosniak parties find unacceptable). He has also expressed support for the creation of a third Croat entity within the boundaries of the Federation, a concept that Bosniaks vigorously oppose. SDP leader Zlatko Lagumdzija has responded with strong rhetoric and has suggested that secession attempts from RS will likely be contested with physical force. While parties are beginning to prepare for what many see as imminent constitutional negotiations, the atmosphere is not conducive to post-election coalition talks. Furthermore, the discussion of government formation in the context of constitutional reform talks could serve to muddy the political waters and have unexpected consequences with respect to the international agenda in Bosnia; especially if parties fail to reach common ground on basic principles. The second disrupting factor is related to the intricate political landscape resulting from the elections; a corollary of the complexity of the Bosnian political system. While election law does not require parties to form cross-ethnic coalitions prior to the elections (the system actually promotes ethno-nationalist platforms), government formation involves leaders from different ethnic backgrounds and ideologies to come together on a common government agenda; which usually takes months to agree upon. Coalition talks are likely to be particularly difficult this time around given that SDP and SNSD (sworn political enemies), hold the majority of seats in parliament and are fiercely disputing the right to define the government on their own terms. Dodik has already made it clear that he has no intention of allowing SDP leader Lagumdzija to become either Chair of the CoM or Minister of Foreign Affairs. This creates a political reality in which, unless smaller parties play their cards wisely, opposing leaders will need to repair their differences in order to prepare the country for the myriad upcoming challenges. Many regard SDA’s leader Sulejman Tihic as an appropriate mediator to bring these two leaders together, but the new government will also depend greatly on intra-ethnic political calculations of smaller parties such as Serb party SDS, Croat off-shoot party HDZ 1990 and newly created Bosniak SBB. Control over entity voting in the parliament (particularly from RS) will also play a big role in determining the character of the new government; and will preclude Bosniak parties from fantasizing about the possibility (and convenience) of permanently sidelining SNSD. Intense negotiations will invariably ensue, and internationals will play a prominent role (the recent visit of US Secretary of State Hillary Clinton to Sarajevo was not coincidental). The ability of external actors to influence Bosnian politics is limited however, given that local parties are well versed in ignoring international pleas and resisting external arm-twisting. Notwithstanding the limited room for maneuvering, pressure for the creation of a stable government that includes major parties (especially SDP) will be strong. It is critical that Bosnian leaders act responsibly, and form a coalition that will successfully lead the country’s transition to full sovereignty. Sofia Sebastian, Postdoctoral Fellow at the Graduate Center, City University of New York, and FRIDE’s Research Fellow. Stefan Wolff: Does the Advisory Opinion of the International Court of Justice on Kosovo’s Declaration of Independence Resolve Anything? I always tell my students that, when sitting an exam, they have to answer the question that has been set rather than one that they feel comfortable with. No analogy is ever perfect, but this one sums up pretty neatly the outcome of the deliberations by the International Court of Justice (ICJ), which, by ten votes to four, found that the Declaration of Independence (DoI) of Kosovo adopted on 17 February 2008 did not violate international law. The Court did so on the basis of a very narrow interpretation of the question put to it by the General Assembly of the UN. 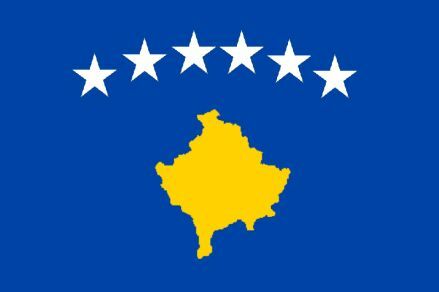 Specifically, the ICJ noted in its Opinion that the General Assembly “does not ask whether or not Kosovo has achieved statehood. Nor does it ask about the validity or legal effects of the recognition of Kosovo by those States which have recognized it as an independent State.” In other words, “the Court [did] not consider … it … necessary to address such issues as whether or not the declaration has led to the creation of a State or the status of the acts of recognition”. This is a major opportunity lost by the ICJ to clarify very important issues in contemporary international law and international relations—in particular, the conditions under which new states can be legally established by unilateral acts of one party to a secessionist conflict. In addition, there is considerable margin for mis-interpretation of the Court’s Opinion. The ‘headline news’ that the Court had ruled that Kosovo’s DoI did not violate international law has led leaders of other entities in similar circumstances, most notably Abkhazia and South Ossetia, to assume that their DoIs now have endowed them with independent statehood under international law. Yet, this is precisely the issue that the ICJ did not address. It demonstrated that “general international law contains no applicable prohibition of declarations of independence”. It found that Security Council Resolution 1244 (1999), which established the UN Mission in Kosovo (UNMIK) and thus the UN’s interim administration of Kosovo, was not violated by the DoI. The first point may be relevant, but it portrays a very conservative and rather dated view of international law, and fails to consider whether non-prohibition of certain acts equates with their automatic permission. This omission is part of the lost opportunity noted by Judge Simma who, while siding with the majority in the ICJ’s overall finding, is highly critical of the self-imposed restrictions that the Court placed upon itself and that he sees as “significantly reduc[ing] the advisory quality of [the Court’s] Opinion.” In justifying a dissenting opinion, Judge Bennouna similarly wonders how the Court’s Opinion, “limited […] to the declaration as such, severed from its legal effects”, can “guide the requesting organ, the General Assembly, in respect of its own action”. The second point is a rather astonishing interpretation of the facts that the Court had to consider. In particular, the logic of the assumption that 109 of the 120 members of the Assembly of Kosovo, and the Prime Minister and the President of Kosovo (the very Provisional Institutions of Self-Government of Kosovo established under UNMIK) did not, at a special session of the Assembly act as the Provisional Institutions of Self-Government of Kosovo but rather in some unspecified private capacity is hard to follow. This point is forcefully made in the dissenting opinions of Vice-President Tomka and Judges Koroma, Bennouna, Skotnikov. Judge Bennouna, moreover, presents evidence that the “Secretary-General and his Special Representative in Kosovo” stated in writing “that the declaration was in fact the work of the recently elected Assembly of the Provisional Institutions of Self-Government of Kosovo”. By considering the authors of the DoI to be anything but acting as the Provisional Institutions of Self-Government of Kosovo the ICJ’s Opinion can avoid any specific engagement with the objection that these institutions exceeded their competence within the Constitutional Framework for Self-governance, as established under UNMIK regulations. This so-called ultra vires argument receives some cursory treatment toward the end of the Court’s Opinion, but is noteworthy for its sentiment that the authors of the DoI are exempt from abiding by this Constitutional Framework. All four dissenting judges strongly disagree with this notion. As Judge Bennouna notes, “not being part of the interim institutions does not exempt the authors from the legal order established by UNMIK regulation 1999/1”, reasoning “that all those living in Kosovo […] must comply with the régime of self-government established by the United Nations”. 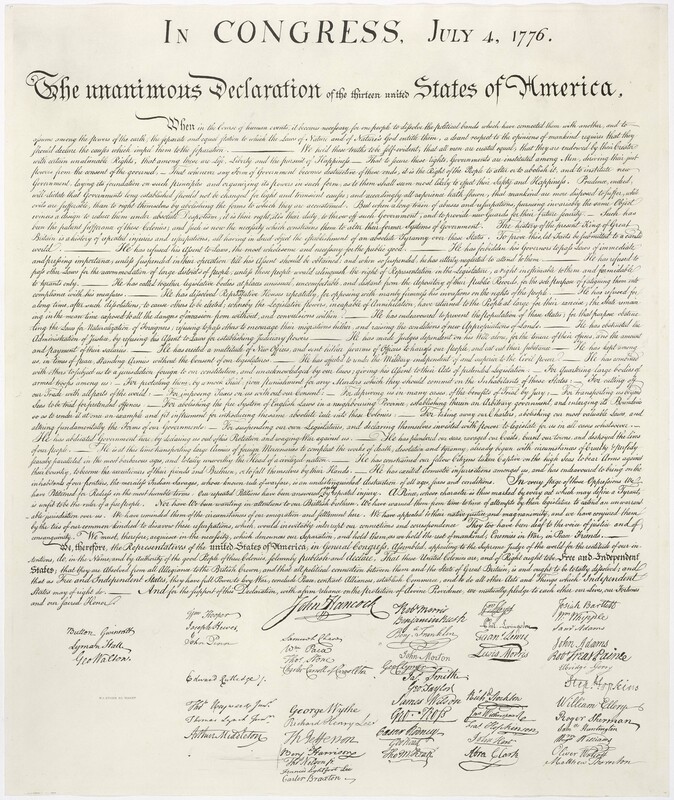 With respect to the third point—non-violation by the DoI of UN Security Council Resolution 1244(1999)—the Court’s majority subscribe to the view that Resolution 1244(1999) does not contain “a prohibition, binding on the authors of the declaration of independence, against declaring independence”. It arrives at this conclusion after examining the language of the Resolution and not finding any specific references to the “Kosovo Albanian leadership or other actors” in its text, contrary to earlier Resolutions on Kosovo (e.g., 1160(1998), 1199(1998), and 1203(1998)). Nor, argues the ICJ Opinion, did the Security Council expressly rule out independence for Kosovo as an option of final status, as it did in its treatment of the question of Cyprus (i.e., in UN Security Council Resolution 1251(1999)). Dissenting opinions, notably by Judge Koroma, however, point out that the fact that UN Security Council Resolution 1244(1999) remains in force until the Security Council rescinds it is incompatible with a DoI that aims to infringe the territorial integrity of the Federal Republic of Yugoslavia (the legal personality of which is continued by Serbia) and end its sovereignty over Kosovo, both of which (territorial integrity and sovereignty) are affirmed in Resolution 1244(1999). So where does this leave the world of self-determination conflicts and contested statehood, a world, after all, that is far from the comforts in which the Judges of the International Court of Justice deliberated their case? Even if one were to accept the reasoning of the Court, it provides no guidance on the effects of Declarations of Independence; in fact, the ICJ specifically refused to do so. Secessionists all over the world may rejoice in the fact that, in the view of the Court, “general international law contains no applicable prohibition of declarations of independence”. Yet, they would be grossly misleading themselves and their followers if they were to derive from this an endorsement of the legality of any process to create new states in this way. The Court does not offer any guidelines on when such Declarations of Independence have the effect desired by their authors. However, following the principle of “ex injuria jus non oritur”, making a Declaration of Independence, which is now established as an act that does not violate international law in the circumstances under which the Court considered it, does not preclude the subsequent legal establishment of new states. Given that the Court specifically cites the case of Cyprus as one in which the UN Security Council has expressly provided for conditions under which such a Declaration would be a violation of international law, Turkish Cypriots can draw little comfort from this. In contrast, the fact that a similar Resolution is unlikely in relation to South Ossetia and Abkhazia, where one member of the veto-holding P5 members (Russia) has already recognised their self-declared independence, is rather more worrisome for Georgia as it is simply not offered the same protection under international law as the Republic of Cyprus. The debates that the ICJ Opinion on Kosovo’s Declaration of Independence has already sparked will undoubtedly continue. Yet, in the same way in which the ICJ Opinion is less than helpful in determining the legality of Kosovo’s independence, the debates on similar cases are equally unlikely to contribute much to the actual resolution of any ongoing secessionist conflicts. For, sadly, these are resolved far more often by the balance of power on the ground. In the case of Kosovo seceding from Serbia with the backing of the United States and 22 of 27 EU member states, the ICJ’s advisory opinion is as irrelevant as it is in the case of Abkhazia and South Ossetia seceding from Georgia with the backing of Russia. That this is the case, and will continue to be so for the foreseeable future, has much to do with the unhelpfully narrow view that the Court of International Justice took in its Advisory Opinion on Kosovo’s Declaration of Independence, and in the rather dubious logic that it at times employed in its reasoning. To return to my initial analogy, there is only one sin greater to commit for a student sitting an exam than adjusting a set question to his or her own comfort level—and that is to answer that question wrongly. Stefan Wolff is Professor of International Security at the University of Birmingham, UK, and co-editor of Ethnopolitics.